The interior of Rockefeller Memorial Chapel (est. 1928) will come alive on this evening with an architecturally-mapped video performance. Windy Weber and Carl Hultgren began their historic musical collaboration in 1993, self-releasing limited cassettes of hushed psychedelic voyaging and inner space atmospheres. Across a spectrum of albums and labels their sound has ascended and expanded into vast ambient vistas of fuzz, drift, and otherworldly undertow. Given their responsibilities running the Stormy Records shop in Dearborn, Michigan they rarely tour; as such a Windy & Carl live performance is not to be missed. 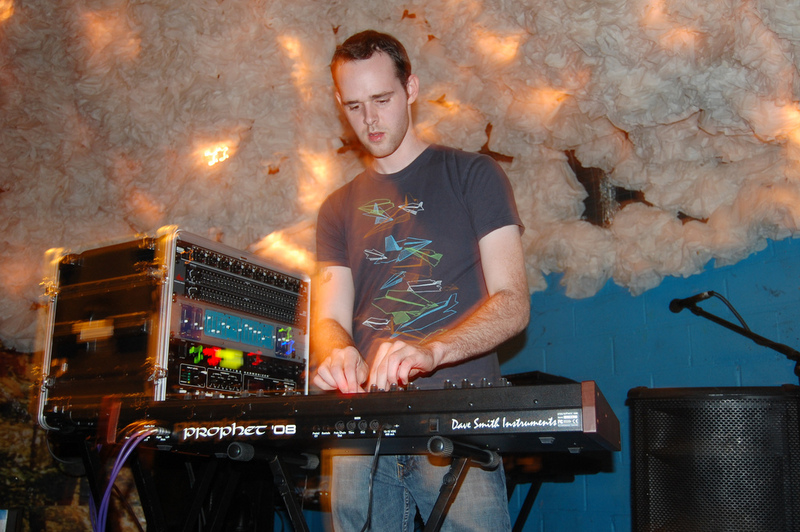 Steve Hauschildt is an American electronic musician residing in Chicago, IL. From 2006-2013 he performed and recorded as part of seminal Midwest drone trio Emeralds. A veteran of the experimental music community, Hauschildt’s compositions utilize synthesizers, computers, and digital processing to evoke fantastical terrains of cascading melody and recurring visions. To date he has released four full-length albums on Kranky as well releases for Editions Mego and Ghostly International. The solo vehicle of Labradford guitarist and vocalist Mark Nelson, Pan•American employs sampling and computer technology to craft oblique fusions of dub, techno, texture, and resonance. He has issued five full-lengths for Kranky since the project birthed in 1997, tracing an idiosyncratic path through cavernous percussion, shadowed voice, liquid guitar, and coiled bass, alternately expressive and elusive. Michigan trumpeter Justin Walter’s solo work centers on evocative, intuitive explorations of the EVI (Electronic Valve Instrument), a rare wind-controlled analog synthesizer from the 1970’s. Its unique, smeared tonality allows for an expressive range of glassy, jazz-like textures, which Walter loops and layers with hushed electronics and twilit trumpet, painting opaque landscapes of resonant beauty. His is a sound both modern and timeless, fusing emotion and technology, gauze and melody, force and fragility. The interior of St. Ann & the Holy Trinity (est. 1847) will come alive on this evening with an architecturally-mapped video performance. Founded in Brooklyn in 2010, progressive power trio Forma continue their mission to “broaden the idea of what an electronic music ensemble can sound like.” Inspired by polyrhythmic composition, the human voice, and conceptual improvisation strategies, their music is striking in its textural detail and emotional nuance, alternately synthetic and sentient, futuristic and intuitive. Incorporating flute, piano, guitar, saxophone, acoustic drums and cymbals alongside an array of synthesizers, the group persuasively demonstrates the potential of collective chemistry and improvisation, attributes they credit to “techniques we’ve developed to trick our electronic machines into mimicking the spontaneous character of live instruments.” Over half a decade spent writing and recording together has distilled Forma’s hybrid electro-acoustic interplay into an attuned and astounding language, capable of articulating impossible symmetries and reflective states. Christina Vantzou is an American-born artist, musician, and composer currently residing in Brussels. Her creative practices span more than a decade, encompassing animation, film, and high-speed photography. Vantzou’s most recent album, No. 4, furthers her signature vision of ambient classical minimalism: endless and ephemeral, immersive and immaterial, “directing sound perception into an inner space.” Christina will be performing in collaboration with Angel Deradoorian and John Also Bennett. Jacob Long’s recordings under the Earthen Sea moniker present a compelling synthesis of shadowy rhythms and opaque atmospherics, drawing on the most potent qualities of melancholic ambient and dub techno. Muted waves of texture drift and decay; beats materialize and pulse across twilit landscapes; a noir mood reigns. He lives and works in Brooklyn, NY. Portland, Oregon resident Mary Sutton’s solo project Saloli threads together complementary shades of soft-hued hypnosis, dazed modal introspection, icy amusement park reverie, and lunar lullaby into prismatic suites of contemplative melody and synthetic communion. Her songs are active rather than ambient yet their structure is more suggestive than scripted, full of lulls, asymmetries, and daydreams. She writes her pieces specifically to be played live on analog synthesizer, with no overdubs or post-production wizardry. The sound of Saloli is one of warm-blooded wiring, turned on and tapped into, emotive and electric, storied machines speaking through all too human hands. Source: Taran’s Free Jazz Hour. Features works from Ivo Perelman, Satoko Fujii, Kyoko Kitamura, Bobby Bradford, and others. Detroit electro-acoustic duo Viands host four acts from California and Ohio performing electronic music, ranging from the ambient to melodic to noise. A member of the DC5 (the house band for Detroit Artists Workshop), and Strata recording artist, Detroit jazz guitar legend Ron English performs live in a set of his most adventurous material specifically chosen for Trinosophes. 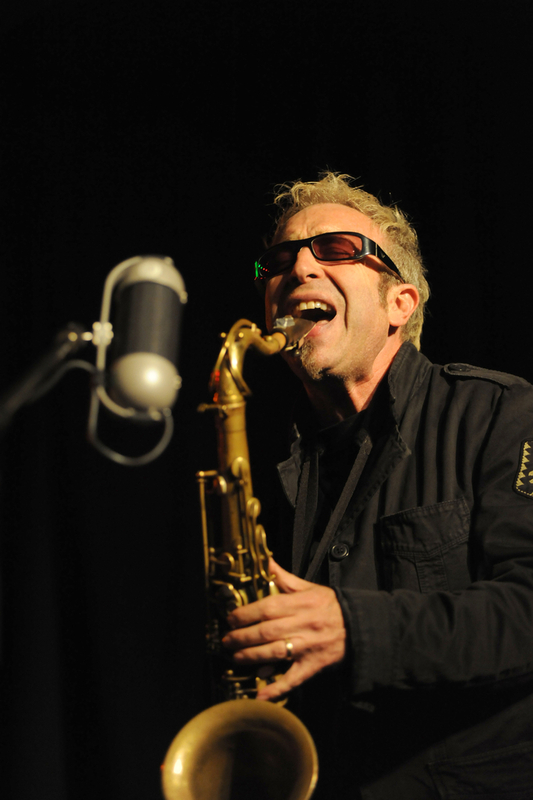 12/13: Doug Hammond solo in a multi-instrument performance! Mars Williams’ Ayler X-mas Tribute – Volume 2! Georg Graewe / Damon Smith /Michael Vatcher! Achim Kaufmann Solo! Ivo Perelman’s Bass Clarinet Duos: Jason Stein & Rudi Mahall! Martin Escalante & Weasel Walter! Alvin Curran! Alvin Lucier! Wolfgang Rihm! Kaija Saariho! David Tudor! David Axelrod! Merzbow! Nurse with Wound! The Highwaymn! Ill Wind! Jade! Akiko Yano! Les Negresses Vertes! Plus Historic stuff from: Archie Shepp & Full Moon Ensemble! John Coltrane’s Live in Japan & Seattle! Dr. Chadbourne rarity! Plus vinyl from Joe McPhee! Michael Snow! Evan Parker! Lard Free! Wendy Eisenberg! Cecil Taylor & Buell Neidlinger! The Fall and Wilson Pickett! Rare Monday, December 3rd Gathering: Reading and Book Signing!